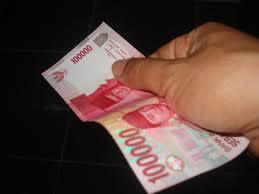 Card transactions using Automated Teller Machine (ATM) have been the choice of most Indonesian people. Almost all types of customer transactions can be served in a small card-sized identification cards this. Ranging from business meals, shopping, sightseeing. pay bills and so on. Moreover, if supported by the balance is fairly fat, in the affairs of any guarantee would be resolved immediately. But what if we ourselves become ridden ATM while the legal issues, would anyone not want that to happen. The phenomenon of suspects into ATMs in law enforcement agencies is not new, although rarely publicized in the general public but could not terpungkiri it happen. Indication of irregularities in the enforcement of this law finally got around to the ear of President Joko Widodo. During a speech at the anniversary ceremony of the 55th Corps Adhyaksa, the President said many suspects are squeezed and used as an ATM machine. Naturally presidential statement is not without reason, the President's communications team teten masduki mention that Jokowi received many complaints about irregularities in the case of law enforcement. According to KPK Deputy Chairman Adnan Pandu Praja, as reported by the media compass on the official website, in 2012 and 2013, the first ranked the most corrupt institution is populated with the House and the Police. The third is the next court and political parties, civil servants (PNS), the business sector, health sector, and then the education system. Regardless of these facts, developing public thinking that the law can actually be purchased, Love of Money Out Case (Criminal Code). Various impressions legal issues into the wider community meal every day, always in no-embroider stamp recipient of a bribe or bribe giver. Hottest and became trending topic lately is bribery senior lawyer OC Kaligis with Medan Administrative Court judge. Disclosure of vortex bribery particularly within the police, the prosecutor and the court then this topic remains engrossed commented, ranging from official forum level seminar at the coffee shop to the outskirts of the way though. Interestingly, KPK law enforcement agencies never once tripped with the issue of bribery as in three other law enforcement agencies. Bribes are not only carried out by a suspect, but there is also the law enforcement officers who handled the case. Especially bribe law enforcement officers on average earn a profit motive. Actually, this kind of bribery is more appropriately called "extortion" because interspersed aggravating the threat of punishment to the suspect, the lure of liberation / SP3. ATM analogy is established for the purpose of facilitating customer transactions either withdraw cash, pay bills and so on without having to queue. A suspect who used the ATM at police agencies, tend to settlement case is slowed by investigators, although the Police Regulation No. 12 of 2009 on Supervision and Controling Management Criminal Case in Environmental Police have established in article 31 paragraph 2 that the settlement time limit of 30 days of investigation for an easy matter, 60 days of investigation for the case being, 90 days for investigation of the case difficult, and the last 120 days of investigation for a very difficult case. Not much is different happen also in the prosecutor's office agencies, the settlement duration stipulated in the Decree of the Chairman of the Supreme Court No. 119 / SK / KMA / VII / 2013 and Circular No. 2 of 2014 MA MA which must decide no later than 3 months after the case was received by the Chairman assembly appeal / PK. Whereas, for settling disputes and the first level of appeals must be made at least each 3 months and 5 months. As for the judiciary, case handling provisions has been regulated in the Decree of the Chairman of the Supreme Court No. 026 / KMA / SK / II / 2012 on Judicial Service Standard dated 9 February 2012. However, technically the third dictum described deadline handling of cases submitted to the respective heads existing judicial bodies. Although it has issued regulations in their respective law enforcement agencies which limit the period of time handling a case, but in practice we sometimes encounter a new case was reported a few days ago, do not wait for a matter of months, there have been delegated docket a suspect. But on another occasion, sometimes also the handling of a case takes up many years. Act 8 of 1981 on the Criminal Procedure Code (Criminal Code) alone of 286 articles that there is actually none specifically and expressly set period of time regarding the investigation against a person suspects. As a result, three important stages of completion criminal cases as stipulated in the Criminal Procedure We are a fertile field for menggeruk personal gain. Not enough that remuneration given by the government for this so that law enforcement officers need to seek additional income through his other? The simple question is pushed in a variety of short or babble discussion during the lunch break relieve fatigue work, will never end with a satisfactory answer. The conclusion was finally made indiscriminately, targeting anyone who is reasonably suspected to be the culprit that needs to be held accountable. Seems revision of Act 8 of 1981 on the Criminal Procedure (KUHAP) already must to do. But unfortunately, the only revision prolegnas Code Penal (Penal Code) according to senior lawyer Luhut MP Pangaribuan as a guest speaker at a panel discussion held by the Capital Market Legal Consultants Association (HKHPM) at Gallery BEI, in Jakarta (25/6). In the same place, politicians from the PPP Arsul RKUHAP Sani agreed that much more important to discuss more in advance than RKUHP.